Dr. Inz is a Licensed Psychologist with 30 years of research and clinical experience working in the areas of behavioral medicine and medical psychology. He was previously an Instructor in Psychology at Harvard Medical School at the Beth Israel Deaconess Medical Center. 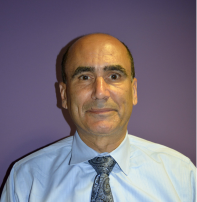 Dr. Inz also previously directed the Outpatient Psychiatry Service of Beverly Hospital. 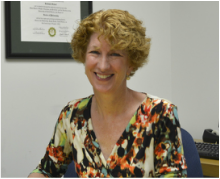 Sue Kostur has worked as a Licensed Mental Health Counselor for over nine years, treating individuals and couples of all ages. Her interests in philosophy and psychology have influenced her approach to treatment. She believes that by understanding our learned past we free ourselves to make fulfilling choices in the present. Sue’s background is particularly applicable for treating the mental health needs of a technological age and the over involvement with others. These treatments include the development of a healthy sense of self, of one’s healthy state of aloneness, and a personal meaning in life. ​It is a universal human truth that people long to be loved and in loving relationships, of all kinds. After that, it’s health that many are most concerned about. Both are essential to one’s well-being. Blair E. Smith, MWS, LICSW studied at Gordon College in Wenham and received his Master’s Degree from Simmons Graduate School of Social Work. He was Director of Social Work at Beverly Hospital for twenty years. He has provided counseling services for over thirty. He has a keen respect for individuals and families confronted with life altering medical conditions and the adaptations such conditions demand. He has professional and life experience with neonatal loss, developmental disabilities, gender and sexual identity concerns, trauma, depression and coping with grief and loss. He encourages the integration of faith and faith traditions for those seeking to live more authentic lives. His specialties include sexual abuse, families of origin, adoption and addictions. He believes change can happen, adaptation is possible and relationships are essential. Pier is a licensed independent clinical social worker who received her Masters in Social Work from New York University in 1995, with postgraduate training in group, family, adolescent and couples therapy. She has a wide range of professional experience in community mental health, outpatient, school, residential and psychiatric emergency settings. Pier works from a strengths-based, holistic perspective and integrates relational, existential and insight-oriented theories, drawing on compassionate and practical strategies to collaboratively realize client goals within the safe and respectful context of the therapeutic relationship. Shawna is a licensed clinical social worker and brings with her 15 years experience, working with clients in both community and healthcare settings. She earned her Bachelor's Degree in Social Work from the University of New Hampshire and her Master's Degree in Social Work from Salem State University. Shawna has experience with clients of all ages. Her area of focus has been with clients/families facing major life transitions such as; disability, debilitating/terminal illness, grief/loss, substance abuse, caregiver stress, trauma and abuse. Shawna employs a strength-based approach in practice and strives to empower clients to achieve their personal goals and improve overall quality of life. The choice to enter therapy can be a very difficult one, even scary for some. Shawna believes in the importance of creating a non-judgmental therapeutic environment, that fosters self-acceptance and a safe place where change and healing can begin. Pip earned her Masters in Counseling and Psychology from Salem State University. She has experience working with individuals with diverse needs in an outpatient setting. She is confident working with adults and teens in individual, family and group therapy settings by using an integrative approach. Her specialties include Mindfulness, Dialectical Behavioral Therapy, Cognitive Behavioral Therapy, Internal Family Systems, Acceptance and Commitment Therapy, Emotional Freedom Technique and other Mind/Body interventions. She believes it is important to meet the client wherever they are in their healing journey. She works collaboratively with clients to encourage acceptance, and explore areas where they would like to make a meaningful change to improve overall well-being. Theresa is a licensed independent clinical social worker, having received her Masters in Social Work from the University of Michigan School of Social Work in 1988. Her clinical experience has included working with complex challenges and symptoms in outpatient trauma-informed settings. Theresa's approach is eclectic as she aims to collaborate with clients to find relief from current stressors, but also to use these challenges as an invitation to transform outdated beliefs and behaviors. Through individual, family and group work, she enjoys integrating various approaches including Clinical Hypnotherapy, Emotional Freedom Techniques, and Mindfulness strategies. Jaclin Gerstel-Friedman is a licensed psychologist at MPC. She received a Master’s degree in counseling from New York University, and received her doctorate in Counseling Psychology from Fordham University. Her approach to therapy is warm, exploratory, practical, and grounded, and she embraces a philosophy of therapy that makes room for the paradoxes of being human. Dr. Cooper is a post-doctoral psychologist at MPC and is currently completing post-doctoral requirements towards licensure as a clinical psychologist. She received her doctorate in Clinical Psychology from William James College in Newton, MA. Dr. Cooper utilizes strengths based and humanistic approaches to tailor treatment for each individual client. She is experienced in treating individuals presenting with various clinical issues including depression, anxiety disorders, identity development issues, and adjustment disorders related to life stage transitions in a range of treatment settings. Dr. Cooper has a special interest in using creativity with clients, as well as outdoor behavioral healthcare, particularly regarding the effect of awe and connection to nature on overall mood and wellbeing. Areas of Focus: Depression, Anxiety, Bipolar Disorders, Trauma, Life Transitions and Interpersonal Issues. Maria has worked as a Licensed Mental Health Counselor with over fifteen years of clinical experience helping individuals, adolescents and families of all ages. She earned her Master's Degree in Counseling Psychology from Northeastern University. She takes an eclectic approach to treatment through a collaborative process with clients. She believes in incorporating a variety of strategies to create a trusting environment where clients can learn to heal and grow. ​Areas of Focus: Cognitive Behavioral Therapy, Family therapy, Individual therapy with children, adolescents, and adults. Angela Della Pelle is a Licensed Mental Health Counselor who has over six years of experience. She received her Master’s Degree from Assumption College in 2011. Her clinical experiences include community based treatment, individual therapy with children, adolescents, and adults, along with family therapy. Angela's approach is warm and welcoming and she practices a Cognitive Behavioral Therapy approach. She specializes in anxiety and depression. ​Areas of Focus: Family therapy, Individual therapy with children, adolescents, and adults, Depression, Anxiety, Trauma, Life Transitions, Bereavement, Coping with chronic illness/new onset diagnosis. Michelle is a licensed independent clinical social worker who received her Masters in Social Work from Boston College in 2013. Since that time, she has worked in both outpatient and inpatient settings at Boston Children’s Hospital. Through the medical social work role at BCH, she has gained experience with chronic illness, terminal illness, grief/loss, caregiver stress, coping with trauma, life transitions, and bereavement. Michelle has experience with children and adults of all ages who face various stress, anxiety, and the need for problem solving. She is a strengths based clinician who uses the therapist/client relationship, mindfulness, and Cognitive Behavioral Therapy to validate, normalize, cope, change, heal, and grow. Dr. O’Brien specializes in the psychological and neuropsychological assessment of children, adolescents and young adults. She completed her doctorate at the Pennsylvania State University and her Clinical Psychology internship at Hutchings Psychiatric Center in New York. She then completed a post-doctoral fellowship in Developmental Neuropsychology at North Shore Children’s Hospital. Areas of focus: Neuropsychological assessment of adults (ages 16 and older) with a wide variety of medical, neurological, and psychiatric disorders. Areas of expertise include stroke syndromes, mild cognitive impairment (MCI), dementia, traumatic brain injury (TBI), Parkinson's Disease, cardiovascular issues, epilepsy, seizure disorders, multiple sclerosis, cancer, toxic/metabolic conditions, and mood disorders. Dr. Alicia Janos is a licensed clinical psychologist, with a specialization in neuropsychology. She received her Bachelor's degree in psychology, with a minor in biological sciences (neurobiology and behavior), from Cornell University. She earned her doctoral degree from Washington University in St. Louis, where she worked with patients across the developmental lifespan (children, adults, older adults). Her research and clinical interests in graduate school included the investigation of neuropsychological impairments following damage to the brain. Among her many accomplishments, she was awarded the Society for Clinical Neuropsychology (Division 40) Dissertation Award for her research on the relationships between serum biomarkers and three-month outcomes following pediatric traumatic brain injury (TBI). Following her graduate studies, Dr. Janos completed her pre-doctoral internship in clinical psychology at The VA Boston Healthcare System and her post-doctoral fellowship in clinical neuropsychology at The Harvard Partners Consortium (Brigham and Women's Hospital, Massachusetts General Hospital). She has co-authored numerous professional journal articles and book reviews. She is currently applying for board certification in neuropsychology through the American Board of Clinical Neuropsychology (ABCN). Alessia joined the MPC team in 2017. She recently graduated with her Masters in Clinical Psychology from Columbia University with a double concentration in Women's Issues and Global Mental Health. Alessia also has dual interest in psychology and business, which brings a unique perspective to her role as practice manager. She holds a dual role as the practice's Intake Coordinator, which is motivated by providing patients with exceptional care and build MPC's presence in the community. Carlene is MPC's Billing and Financial Manager with 20 years experience in the field. She holds a Certified Professional Coder certificate to ensure she is always updated on the changes that occur in insurance and billing. Carlene works diligently and accurately to make billing an easy process for all patients.